What’s the most effective way to win over thousands of fans is one fell swoop? Declare a positive relationship between science and religion, that’s how! And in this, now world famous, quote you can go a step further and declare atheism the enemy of science. Now sit back and watch the adoring new fans throw their money at you. The next book that gets written is guaranteed to be a best seller! Who needs integrity anyway? The rationalists are of course, sitting there, scratching their heads, wondering when it was the science didn’t support the notion of not coming to a conclusion when there isn’t enough information. Worse than that, the whole point of religion, especially the Christian one, is to do exactly that, jump to a firm conclusion, one that makes you feel all cuddly, and then pick what looks like it supports the idea. But be very careful not to pick too many bits of science otherwise you run into the problem of replication, best to keep the mystery bit at the fore front, that’s the important part. Can’t be having make believe stand in the bare light of scrutiny after all. Maybe science will take Templeton more seriously when a Templeton prize subject also wins a Nobel. 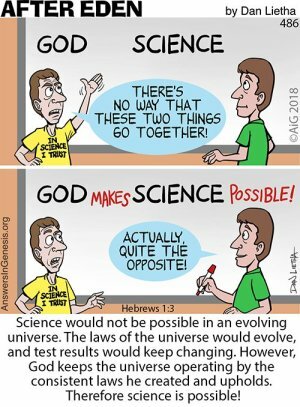 Do scientists have to be atheists? Can a scientist be open to the possibility that God exists? At least one leading scientist in the news thinks that atheism is not consistent with the scientific method. What world-renowned physicist said this? This millionaire cosmologist is a native of Brazil and an ultramarathon runner. I’m now Officially a Podcaster! If you’re like me and enjoy podcasts on the interface between religion and atheism, then these others may interest you too. These include people who were also involved in the Still Unbelievable! book that launched last year. If any readers have other podcasts that they enjoy and wish to recommend, then please feel free to give your recommendations in the comments, I and others may very well enjoy the content too. In addition, if any reader (atheist or believer) wishes to review or comment on my podcast content, or better still join me on either podcast for a discussion, then I will gladly receive the feedback and engage in the chat. Now that I’ve gone public on the podcasting, I will attempt to create a new post for future episodes so followers here will get a notification. This year, I intend to continue building on the podcast content and there are plans for further book content too, but I can’t divulge more than that right now.